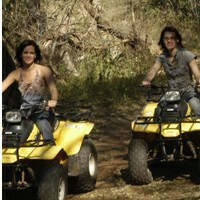 Come and do quad biking with REAL adventure and experience some off road quests, with all safety in place our guide will take you on a drive at a private game lodge that is situated in the Dome world heritage site and for this reason we will take it nice and slow at 10 km/h making our way up to the mountain. Combined with a sundowner you can have a cold drink at the look out point while the sun is setting whilst having the whole world at your feet. 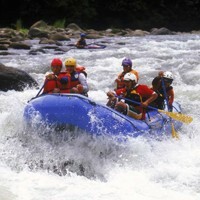 Parys river rafting is located in Parys. 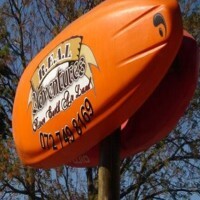 At Parys the Vaal River has some fun level 1 to 4 rapids and is very close to Johannesburg so it is a popular destination for both family and corporate trips. 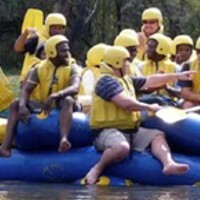 Bring your family, friends or colleagues, come and explore Parys white water adventure rafting and experience a river trip you will never forget, only one hour's drive from the centre of Johannesburg. Parys has it all for your next team build, family breakaway or bachelor adventure.